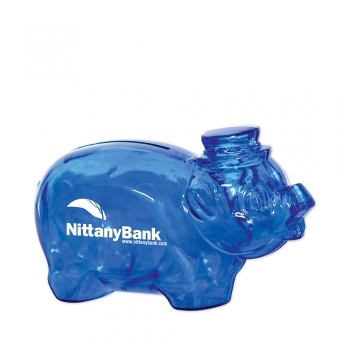 Personalized smash it piggy bank – translucent blue makes a unique gifting choice in all seasons because it highlights the importance of money savings. 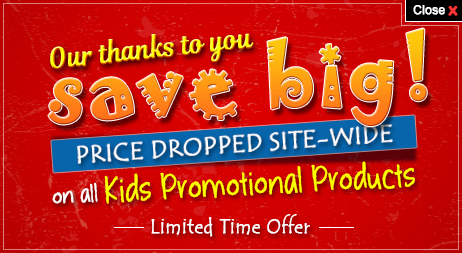 Investment bankers, banks, credit unions, home loans, personal loans and other financial institutions – can gain benefits by working through this promotional smash it piggy bank ( measuring 4 ¼ and offering imprint area of 1 1/2” x ¾”). These piggy banks are very safe and it needs to be broken for taking out money. Responsible teachers, parents, personality development instructors – can always try to gift away custom smash it piggy banks if they wish to inculcate healthy saving habits in them. People remember such thoughtful gifts for long time and they try to retain it longer than any regular gifting item. Product Size : 4 1/4"